Coming to the songs, Saar osthaara…was well canned and Kajal looked her sultry best, same with Chao Pilla. The other song ‘Chandamama....’ is well canned wherein the much talked about lip kiss between Mahesh and Kajal is seen. That was shot aesthetically. Overall, this is a film that will strike a strong chord with fans of Mahesh Babu and to those who love to hear some punch packed dialogues. 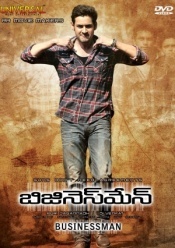 Entire film was shouldered only on Mahesh Babu and finally the output is not boring but hooking. The charisma of Mahesh Babu pulls female crowds to theaters. The film deserves good commendation for not making in the typical hero-villain-comedian concept. Mumbai city commissioner Ajay Bharadwaj (Nasser) announces in a Pressmeet that mafia dons are wiped out from the map of Mumbai. He also states that he would break the leg if any don steps in Mumbai. Instantly Surya (Mahesh Babu) steps in Mumbai. His friend (Brahmaji) takes him to his room in slum. Surya asks him to quit job and join him as an assistant to do his proposed crime business. He also says that he is in Mumbai to make it piss. How he emerges as a don falls rest of the story. He uses his brain and brawn to grow big in Mumbai. He plays with system and preys on politicians to grow his business. On parallel line he loves Chitra (Kajal), the daughter of commissioner. Story wise, it's simple but the narration beauty is ample and dialogues tremble the senses of audience. Rest should be watched on screen.